Spread out across San Antonio’s neighborhoods, utility poles have been a major component of CPS Energy’s infrastructure for more than a century, supporting electric distribution lines that carry power to our customers. Now, our wooden poles are not only delivering power; they’re generating it, too. “CPS Energy supports a ‘cradle to grave’ approach. When an item or material reaches the end of its useful life, we look for ways that we can turn that ‘spent’ item into something favorable to us and the environment,” says Beverly Zaiontz, CPS Energy Supervisor of Warehouse Operations. “Since June 2013, the majority of our retired utility poles have been disposed of through the recycling program offered by Lufkin Creosoting.” In 2014 alone, we recycled more than 7,000 poles. Through the beginning of February 2015, approximately 1.8 million pounds of poles removed from our distribution system were ground into wood fiber for fuel. While some poles are roughly 50 years old when taken out of service, others are in the ground only a few months when removed – having sustained damage from vehicle accidents, severe storms or other unforeseeable events. In 2014, CPS Energy recycled 7,000 poles. “Our goal is to have poles in service for a 30-year life,” says Esteban Garza of Overhead Engineering. Although we don’t directly profit from the pole recycling process, we are able to save precious landfill space and avoid costly landfill disposal fees – benefitting our environment as well as our customers. In fact, we even recycle the hardware mounted on poles. “Our line crews typically remove all hardware from a pole before it’s uprooted,” says Zaiontz. “This hardware is recycled through our metal recycling program.” Collectively, we’ve recycled more than 468,000 tons of materials in 2013 – from poles and scrap metal to tires and fly ash collected at our power stations. In the past, used poles were made availalbe to CPS employees for use in building fences and pole barns where CPS was able to recover some cost through this purchase. As employee’s and customers, would it be possible to start allowing CPS enployee’s to purchase poles again so that CPS can recover some cost; it is stated above that currently CPS does not ‘directly profit’. This could be handled with little effort on CPS’s part being that they have to load out poles already and would help CPS and its employee’s. I’m sure there would be other individuals interested in purchasing these as well. I can envision an entrepreneur buying these poles, milling them to rail-road tie size, and re-selling them for landscaping. I am a CPS customer and am looking for some for a set of cattle pens I want to build. will CPS let me pick some up? I’m sorry. 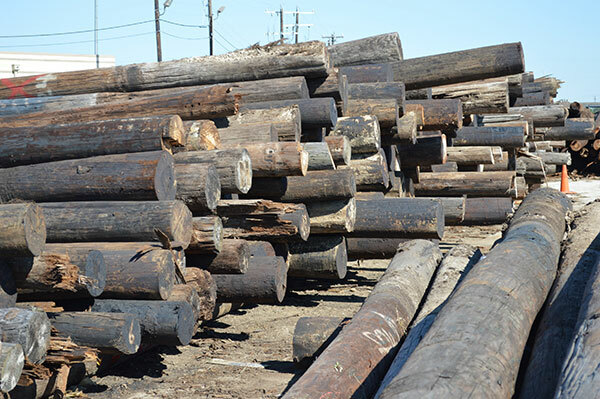 We recycle our utility poles. We don’t make them available for purchase. Power poles are saturated with creosote and burning them releases toxic chemicals. Per the EPA: “Do not burn wood in open fires or in stoves, fireplaces, or residential boilers because toxic chemicals may be produced as part of the smoke and ashes.” Has this been considered? Fortunately, the poles are first pulverized into fiber and then burned inside a plant, not in the open. Thanks for the question!